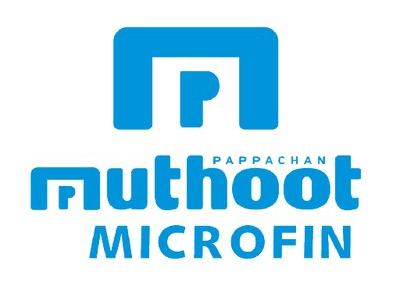 Well known Muthoot Microfin Ltd. which is a part of Muthoot Pappachan Group is going for Initial Public offering to raise funds between Rs. 4000 and Rs. 5000 crore. The company has appointed Motilal Oswal Edelwelss and Credit Suisse as the merchange bankers for the issue and proposes to file a draft redherring prospectus in the next few days. MML also says that they are also looking for different opportunties and going through the progress in the industry closely. In the process MML also has raised Rs. 250 crore to take its microfinance busienss forward and thus, make its holding in the country more strong. Of this amount Rs. 194 crore was raised through rights issue and second round of investment of one million dollar was received by the company from US based existing PE investors under B series, and thus taking the total capital base to Rs. 624 crore at the end of Financial Year 2018. Muthoot Microfin is a wholly owned subsidiary of Muthoot FinCorp. MML was rated M1C1 by CRISIL in April this year, which is the highest comprehensive Microfinance Grading. Also, based on other factors, CRISIL also upgraded the long term debt instruments of the company to A stable. Credit Access Grameen Ltd, the Bangalore based Microfinance company had got SEBI’s go ahead for a Rs. 1500 crore IPO. Also Spandana Microfinance filed DHRP with market regulators for an IPO. Microfinance industry is under a process of consolidation and IndusInd Bank had acquired Bharat Finance Inclusion, and Kotak Mahindra Bank has acquired BSS Microfinance. ICRA forecast reads that Microfinance Industry portfolio, post demonetization and GST implementation, is likely to maintaina growth of 20-22 per cent as compared to the medium term. Risk (PAR) metrics has shown a change from 11.06 \% at the end of March 2017 to 4.44% at the end of March 2018.